The Body Worn Dipole Antenna is specifically designed to be worn on a user's body during undercover operations. 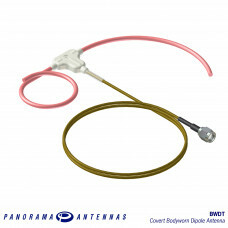 It can also supply an alternative where conventional portable antennas cannot be used. The wires are taped to a person’s body so that their appearance is as discreet as possible. The antenna is worn across the shoulders and down the back. 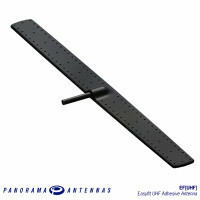 Once in position, the antenna is tuned to the required frequency so that optimal performance can be achieved. 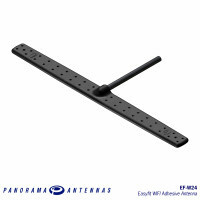 The Panorama On Glass antenna Easy Fit can be quickly and easily installed on a windscreen.. 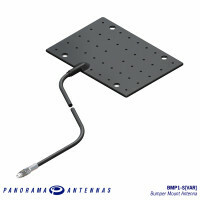 The Panorama Bumper Mount Antenna is designed for covert operations and other applications whic.. 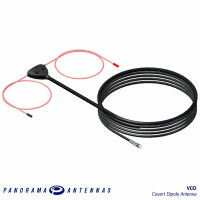 The Panorama VCD range is a covert dipole antenna which can be mounted to any plastic surface such a..